Haunted Overload has been named one of the top Haunted Attractions for many consecutive years by HauntWorld magazine, and the winner of ABC's 2014 Great Halloween Fright Fight! Haunted Overload blends astounding handmade sets, gigantic monsters and spellbinding characters with spectacular sound and lighting to create a twisted, terrifying Halloween experience like no other. Haunted Overload has also been voted one of the top 20 most influential haunted attractions of all time by HauntWorld magazine alongside national shows such as Universal Studios' Halloween Horror Nights, and has been featured on the Weather Channel, NH Chronicle, NECN and many others. Haunted Overload is located at DeMeritt Hill Farm on Route 155 in Lee, NH. Haunted Overload is simply one of the highest rated, creative and unique haunted attractions in America! Now located on the DeMeritt Hill Farm on Route 155 in Lee NH. 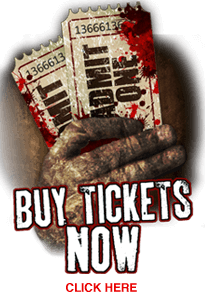 The show has consistantly been voted one of the top 13 haunted attractions in the country. Focusing on quality, Haunted Overload is committed to giving the customer the ultimate Halloween experience at an affordable price. Nowhere else can you see huge monsters looming over the crowd, some as tall as 34 feet. The authentic farm location provides the perfect backdrop for the hundreds of lighted pumpkins and movie quality sets. Most of the one of a kind props are designed and created by hand and cannot be found anywhere else. The haunt is changed and expanded each year to give the patron something new and exciting to experience. The night time haunt, while artistically done is extremely scary and parental discretion is advised for younger or sensitive children. Haunted Overload is also open many days during daylight hours with no actors for the whole family to enjoy the stunning detail of the haunt at their own pace. Check the schedule page for dates and times of the daylight walkthroughs. Each event will be held rain, snow, sleet or any other New England weather condition so please dress appropriately. The last time we visited here with my family we really got pretty scared! So Im really giving it a thumbs up! Je vous remercie de l'information! Je cherchais et ne pouvait pas trouver. Vous me aid! Thanks a bunch for sharing this with all of us you actually realize what youre speaking about! get your hosting service at a cheap rate. This is a very interesting article and people have wrote great things about it. I like all the things written here and we are going everywhere with a lot of success and fame. We can find more amazing and mind-blowing information related to this topic on other greatest web resources.